Kolkata: Almost around the same time that Job Charnock anchored here, another foreign settler also chose to settle along the Hooghly, a little to the south of the city, along with 110 of his countrymen. Atchew was a Chinese traveller and finally set up a sugar plantation and mill in Atchipur, South 24-Parganas with his people. That was in 1778 and written documents are available to show that this was the beginning of a train of Chinese settlers who chose Kolkata as their home. Periods of disorder in China — the Opium war (1840) and the Revolution (1911) saw waves of Chinese men and women coming to Kolkata. By 1930, the Tiretti Bazar area or what is today known as Old Chinatown, was bustling with people. Lack of space pushed some towards what then looked like the eastern fringes of the city and finally New Chinatown or Tangra developed into another exclusive Chinese settlement. By this time the community had started tanneries in Tangra to give vent to their traditional craftsmanship. A large number of Chinese labourers also migrated to the tea gardens to work as labourers since they had experience in the tea industry. Though essentially an insular community, the Chinese settlers in Kolkata mixed with the indigenous population and soon there was a demand for the Hakka tanners and shoemakers, Hupeh dentists and of course Cantonese carpenters and restaurateurs. 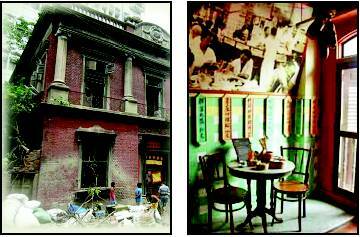 The Japanese air raids of 1939 and World War II in general saw a break in the flow of Chinese population to Kolkata and Mumbai, their two favourite haunts. The Sino Indian War (1962) changed everything and suddenly the community lost several civil rights and Indian passports were also revoked in some cases. That was the time when a large number of Chinese settlers in the city migrated to Canada and Australia. The old houses, places of worship and business establishments of the Chinese near Tiretti Bazar dwindled. Tangra continued, but the buzz grew fainter. Finally, the decision of the state government to remove tanneries from Tangra to counter pollution drove the last nail in the coffin. 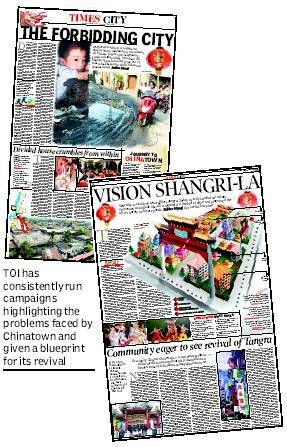 Today, the pall of gloom and remoteness of India’s only Chinatown is palpable and it is time that the state government revived and restored it, says a document that has a detailed a revival plan for both old and new Chinatown. 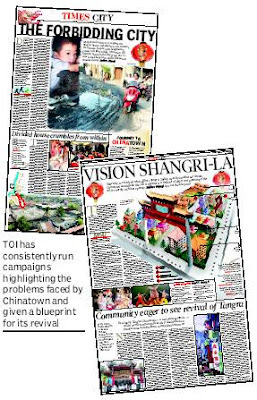 This document, prepared jointly by the Singapore-based Buzz Media and the Indian National Trust for Art and Cultural Heritage (Intach), was recently submitted to the state tourism department for a joint venture to restore and re-construct Chinatown and turn it into a tourist spot. Happily, the state government has agreed to partner in the project. since many from Singapore have already pledged support if the project takes off. The document gives details like how the Toong-On Temple in Blackburn Lane in Old Chinatown, which used to house the famous Nanking Restaurant, is lying in a state of neglect and needs to be restored immediately. Again, the Pei May, the last surviving Chinese language school in the city, has also shut its doors and its sprawling campus lies in disuse. These two relics of a bustling yesteryear community can become the centres around which the revival can spin, the document says. “We want to involve the dwindling Chinese population in the revival project. The Indian Chinese Association, which is the only representative body, has shown a lot of interest already. Once the project starts a design to connect the whole of the selected area will be prepared and existing structures will be enmeshed in such a way that they look like part of a large Chinese scheme,” explained G M Kapur, state convener of Intach. 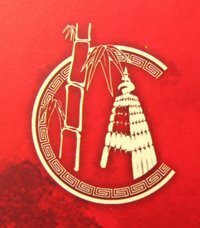 The document says that a large number of traditional Chinese professions like handcrafted leather, dentistry, carpentry, dry cleaning, beauty care, hairstyling and of course, food, will form part of the design, so that people are naturally drawn to the project and funding for its upkeep becomes easier. Tourism secretary Vikram Sen agreed. “We are indeed happy at the interest that the Singapore-based urban renewal body has shown in Chinatown. We were planning to showcase Chinatown for a long time and here is an opportunity to do so jointly. We will soon ask them to prepare a detailed project report,” he said.